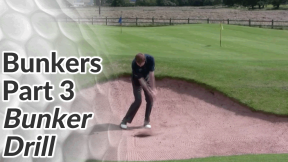 In this lesson we’ll look at some key tips for playing fairway bunker golf shots. 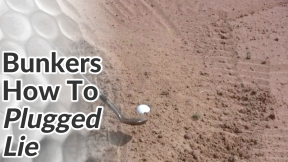 That being said, the cardinal sin is getting too greedy, hitting the bunker lip and leave the golf ball in the sand. 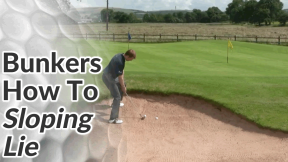 In the video below you’ll see a useful tip for gauging whether a certain club can launch the ball high enough, quickly enough to avoid catching the lip. To judge whether a particular club can clear the lip, place the club head on the ground and gently step on the club face so that the back of the club head is flush with the ground (club face is pointing directly at the sky). The angle that the club shaft makes is the trajectory that the ball will fly at. 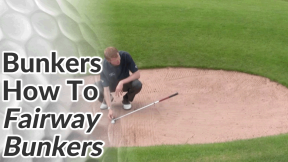 Obviously you need to do this at the side of the fairway bunker as touching the sand will result in a penalty. Whatever club you think you can get away with, add one. So if you think a 7 iron will clear the lip, take an 8 iron. 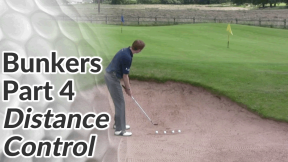 Setting up, take a standard set up but move the ball back slightly – to about the centre of your stance. That will encourage a cleaner contact. 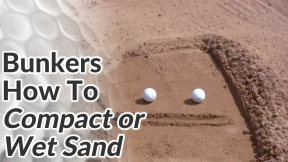 Unlike a green-side bunker shot we don’t want to hit the sand first – your aim is to hit the ball and then take a divot of sand. 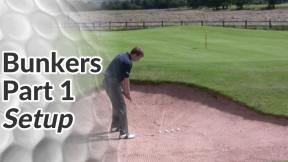 During your downswing make a good move to your left side through impact (for the right-handed golfer). 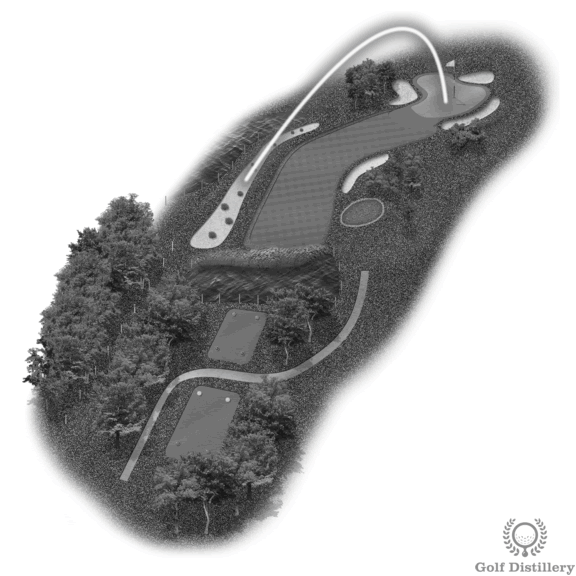 There can be a tendency to stay back on the right foot leading to a thin or fat shot. 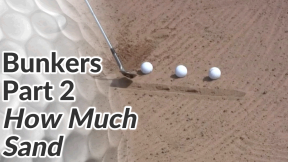 Increase your grip pressure more than usual – this helps to prevent the sand twisting the club and slowing it down too much.